Dental implants are one of the greatest advances in dental technology. Unlike other tooth loss treatments, teeth implants are durable, discrete, and they can last a lifetime. Making the decision to get implants over traditional dentures or a dental bridge might seem like a no brainer. They’re a great investment in your oral health, but at the same time, the effectiveness of your treatment will largely depend on choosing the right dentist, and a lot of dentists offer dental implants. However, when it comes to getting a high quality treatment, not every dentist has the same amount of experience. One of the most difficult choices to make when it comes to restoring your tooth loss will be choosing the right dental implant dentist. Before choosing a dental implant provider, there are a number of qualities you should look for in an experienced dentist. Once you know what to look for in your dentist, you can begin searching and interviewing the right provider for you. One of the first and most basic things to look for is making sure that your potential implant dentist is actually a licensed dentist. At the same time, being a licensed dentist doesn’t necessarily mean that he or she is a dental implant expert. After researching your dentist’s license, the next thing you should inspect is their dental implant certifications and experience. A dental implant expert knows that dentistry is constantly discovering more effective techniques for restorations and will have continued education in implant dentistry, as well as remain an active members in a variety of implant related courses. Most implant experts have 300 or more hours of continued education. Beyond education, you should also inspect how long your implant dentist has offered the service. An expert dental implant dentist will have one or more years of experience offering the treatment. 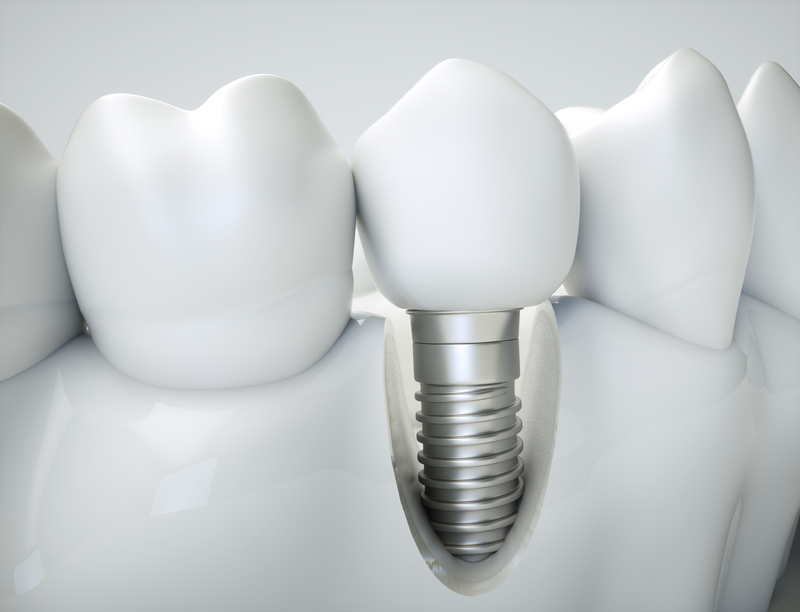 Dental implant treatments often require custom designed treatment plans, depending on the physical shape of the patient’s mouth, and the more experience your dentist has, the better. A good dental implant dentist is also a skilled cosmetic dentist, who is able to fabricate crowns that are color, size, and shape matched to the rest of your smile. You can also ask them if they have before and after photos of their treatments. These resources can give you a good insight into the dentist’s cosmetic ability. There are a lot of resources available to help you search for the right dentist. A simple Google search can turn up every dentist in your area who offers implants. An experienced dentist will usually have online reviews attesting to the dentist’s ability. These are a good place to start when deciding which dentist you’d like to consult with for your treatment. During your initial consultation, you can ask your provider questions to gain insight into his or her education, experience, and skill level. Every implant provider is different, their own unique treatment processes. What is your success rate with dental implants? Do you have any before-and-after photos of your dental implant patients? What should I expect for recovery time, pain, and eating? What type of implant device will you use for my treatment, and why does this work best for me? How many years have you offered dental implants? Do you offer any other implant-supported treatments, like bridges or dentures? While finding the right implant dentist will take some time and research, with a little patience, you can find the perfect implant dentist for your needs. A compassionate implant dentist will also show that he’s dedicated to your dental health by having a good chairside manner. During your initial consultation, it will be easy for you to tell if your dentist seems personable and makes you feel comfortable. Jayson C. Haws DDS is an experienced implant provider in Brigham City, UT, who is dedicated to offering the most successful tooth restoration treatments. Beyond providing effective treatments, Dr. Haws also offers sedation dentistry to minimize your pain and anxiety during your dental treatment. Want to learn more about our implant treatments and experience, as well as our sedation options? Call us today at 434-734-9144.